By Community Chickens on December 13, 2010 Visit Community's Website. I can’t believe how long it’s been since I’ve blogged! We’ve had an unusually fine fall and I’ve been madly trying to get the garden beds all tidy and neat for spring. Unfortunately, most of the fine days were days I was working. Still, I managed to get most of it done … good thing, as winter arrived quickly when it hit. Thanksgiving was the usual family gathering, with one exception: We were eating our first home-grown, free-range Heritage turkey. We raised “Tough Guy,” as my husband named him, from a day-old poult. 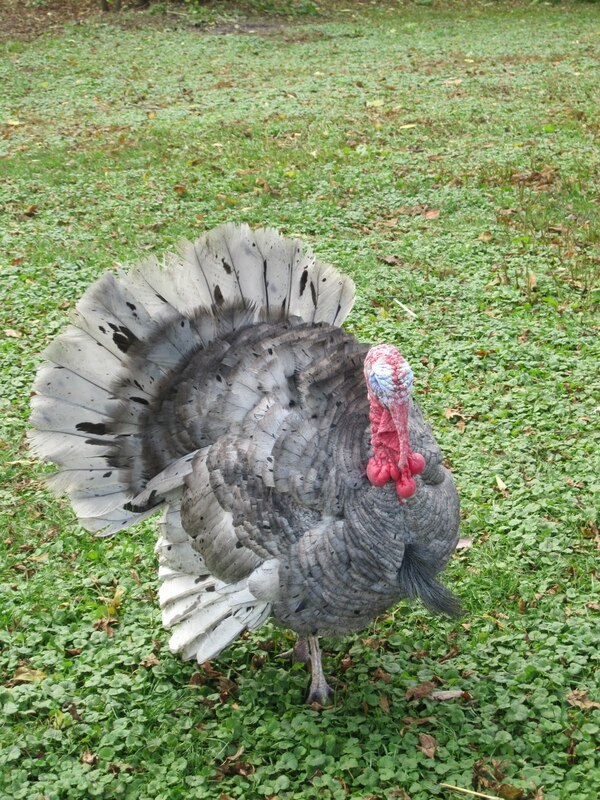 He was a real show-off, always trying to out-strut our other two Toms, one a Bourbon Red. A beautiful Heritage Blue Slate Tom, but since he wasn’t the only one I had, was expendable. We debated for a month or two which of them would become Thanksgiving dinner. After Tough Guy, started showing aggression towards our 3-year-old granddaughter, the selection process was easy. 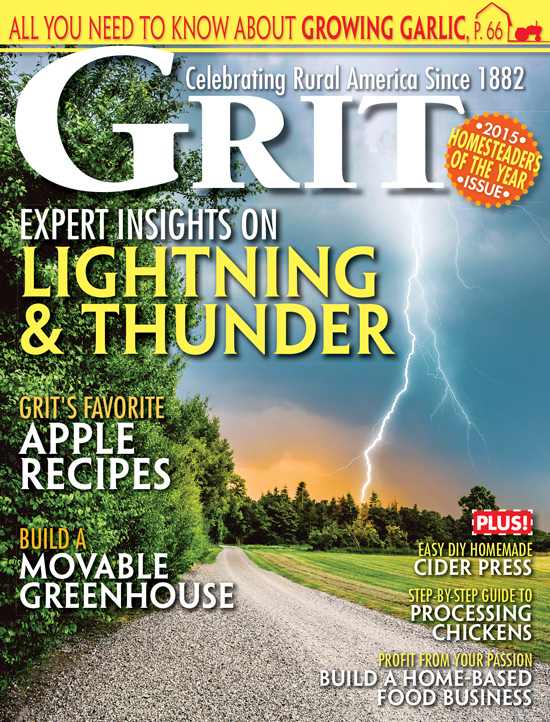 But I was worried that Tough Guy would be just that — tough! He was nearly a year and a half old, and had been a very active breeder. I feared we would be eating something the consistency of shoe leather. Still, the sure way to get butchered here is to get aggressive with the little one. So, when I had my broiler birds butchered, we had him butcher Tough Guy as well and put him in the deep freeze to await Thanksgiving. When he weighed in at 20 pounds, I knew I had a challenge on my hands! I decided one way to tenderize Tough Guy would be to brine him. 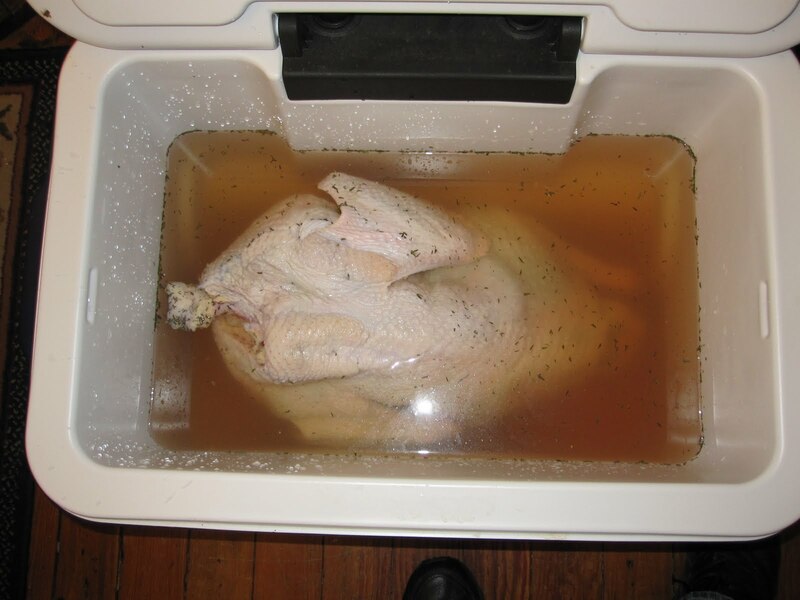 But last year, when I attempted to brine an “all natural” turkey from the store, it was way too salty. I decided on a very light brine, with 1 cup of salt, 1 cup of natural sugar, and a goodly bit of thyme, with a couple gallons of water. The only thing I had big enough to soak him in was a cooler, so I scrubbed and bleached one out and plopped him in overnight. Looking on the Internet for tips, I found no one agreed on how to properly cook these birds. Some wanted hot and brief, others suggested cooler temps for longer times. Tented? Untented? Good grief! The only thing everyone agreed on was not to put the stuffing in, as it wouldn’t cook as fast as the bird. I finally settled on separating the skin from the bird and smearing the bird with butter, putting it upside down in the rack. I gave it an initial blast for 1/2 hour in a hot oven, then cooled the temperature for another hour. It was almost done at that point, so it got rotated breast up and had another blast of hot temperature to brown up the skin on the breast. At that point, my meat thermometer said the bird was done! 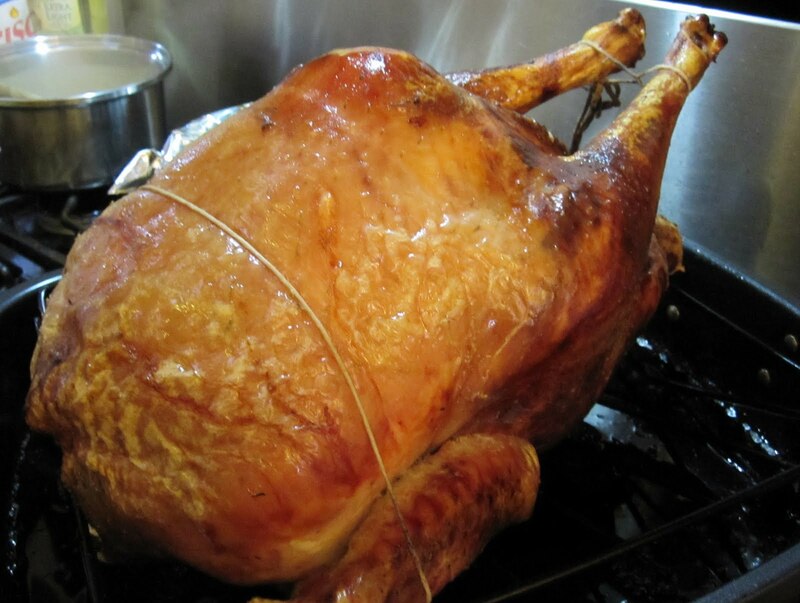 But since we were over an hour away from eating, I tented the bird with foil, and put him back in the oven on warm only, and crossed my fingers he wouldn’t dry out. He was beautiful and brown when he came from the oven, but I still worried if he would be edible. He was not only edible, he was delicious! The only disappointment was that the very deep brown skin was tough, a shame, as I dearly love nicely brown skin. The meat, however, was truly lovely. There was much less breast meat than from one of the hybrid birds, but it was juicy and tender and full of flavor. The dark meat was very dark, and I was concerned no one would want to eat it. No problem, it was the best tasting dark meat any of us had ever eaten. Even my Hubby, who normally won’t eat dark meat from any poultry, ate large amounts of the after-Thanksgiving turkey dishes we ate for the next few days, before I vacuum-sealed the rest for the freezer. I believe the only thing I might have changed was to put a bit more salt in the brine, as he could have used a bit more salt. I was delighted with this, our first home-grown heritage turkey. I can’t wait until spring, when we can butcher out some of our fall hatched birds – as I’m sure there are several more Toms than we need. If Tough Guy was this tender and juicy, the younger birds should be a real taste treat! I tried brining for the first time this year too (with an all natural, free-range turkey from the health food store) with great success. I used a big food-grade bucket that formerly held agave at a store. You can ask for these buckets at places that sell goods in bulk. It worked great, and fit in the refrigerator (with a shelf removed). I raise calves, name them, treat them like royalty with only the best feed, lush pasture and treatment for almost 2 years and then send them to the butcher. I do the same with poultry. I am also a humane investigator, is something seriously wrong with me too? My family and I are carnivores, I won’t be made to feel guilty for the diet we choose and I won’t let such judgmental comments (just your opinion) make me feel like I am (or the author is) somehow inhumane or cruel. To each his own, live and let live. I enjoyed the story and Kudos to the author for raising her own food on a small scale and I am sure in a humane manner. Why did you read the article if you knew you would find it disturbing? Keep your opinion to yourself thank you, I find it offensive… just my opinion. I had a nut job answer an ad I had for Royal Palms for sale either live or butchered. He wanted me to GIVE him the birds to “rescue” saying that animals are not for profit. He didn’t want to pay for them. He said he was Buddist and that I was going to go to hell for killing animals for food. I raised some for my family and sold the rest as they were extremely prolific breeders and I had an abundance of turkeys. Those of us who raise turkeys know I DID NOT make a profit. I bet I lost money when all was said and done between the cost of feed, brooder heaters, my time raising them and the 3 twelve hour days I spent butchering. And by the way, most of them did go to people as live birds for their farms as breeders and as hobbies. I also appreciate eating meat and knowing it was raised humanely, healthy, naturally and that they were killed humanely and dressed out in a clean, sanitary manner. If it weren’t for a lot of farmers and hobby farmers raising these heritage animals a lot of them would become extinct. You still need to do something with the excess birds. Releasing them into the wild is not an option. The coyotes and hawks will be a lot less “humane” in their methods of killing than any of us. I hope to raise my own Thanksgiving turkey in the next few years – so far we just have chickens for the eggs. Thank you for sharing your experience. I have a lot of respect for those who take responsibility for raising their food in a healthy and humane environment. For those that believe that “there is something seriously wrong with someone who can raise an animal, know he has a personality and an appreciation for life and then just kill it to eat its corpse,” I would argue that the opposite is true. Which is kinder: raising an animal in a humane, spacious, kind manner for my dinner plate or relying on disgusting, crowded, dirty, inhumane factory farms to raise and abuse my meat? I applaud the author for taking responsibility for the care and treatment of their food. Humans were not meant to eat just plants. We make enzymes in our gut that are for digesting protein, right? Pass me some flavorful animal “corpse” please. Yes the turkey was a living thing, but so are the plants you and I eat. They are “harvested” and ingested for our nourishment as well! So to the Tofurkey lover…..if you have a problem with killing things,you should not kill and eat plants either. Harvesting a soybean keeps it from its natural state of dying and falling back into the soil to regerminate and re-emerge to start over its life cycle! In this line of thinking, we should just starve? Man has chosen certain plants and animals as food for sustenance. It just varies geographically/culturally as to what is available & chosen. And of course by personal choice! Leave the omnivores to their choice. And we’ll let you have all the tofurkey your heart desires. Interesting how you named the bird and got to know it and still determined he was the one to butcher. I guess he was easier to part with since he was aggressive. Beautiful bird! I’m glad the bird was tender and everyone enjoyed the meal. There is something seriously wrong with someone who can raise an animal, know he has a personality and an appreciation for life and then just kill it to eat its corpse. Wow. Try a Tofurkey or some other compassionate foods for a change. Good luck with your Karma. He looks delicious! : ) Thanks for sharing your adventure. We are hoping to have a turkey or two when we finally get to have poultry, so thank you for sharing your experiences here. Much appreciated.